I’m cycling 8000km across South America. If you know of a place that I could camp for the night or somewhere I can get water to drink, I ask that you please help me. Sorry for my poor Spanish. It was an ice-breaker, a plea for help, and in hindsight, a way of letting total strangers know that I was helpless, alone, and vulnerable in the middle of the desert. People often warned me of the dangers of Peru: drug cartels, tourist abductions. I would be lying if I told you that I wasn’t scared in this foreign land. As the sun pulsed up from scorched desert sand, my wheels slowed, and body ached. I came to a stop beside a dusty bamboo restaurant; the glorious scent of fried food attracted my drained legs. The owner greeted me, curious as to why this sweaty Gringo had suddenly walked through his front door. He was a slim man, smartly dressed, with rounded glasses. I began to try and explain my trip with a mixture of swift arm movements and English words that I presumed would make sense if I added a Spanish accent to them. Sensing his rising impatience, I suddenly remembered my letter. I grabbed it from my front pannier and presented it to the owner. Reading it with a grin, he looked up at me before disappearing into the kitchen. After a few minutes’ silence, I started to lose faith that my letter would ever return, let alone anything positive come from it. Then, as I prepared my bike to leave, another man appeared from the kitchen drawing out a rich smell of fresh coffee. His English was the first I had heard since touching down on Latin soil, and it began a conversation which led deep into the early evening. Mauricio was a Colombian motorcyclist who had been on the road for 9 months, stopping at the restaurant to work and save money for fuel. We shared our wild, adventurous dreams with one another, instantly connecting. The owner, little to my knowledge, had selflessly taken over as Chef for the afternoon so that Mauricio could chat with me. He popped out front with several hot plates of rice, meat, potatoes and mugs of coffee, placing one of each in front of me. I was introduced to his wife as they joined me and Mauricio who acted as a translator throughout the meal. It turned out to be the owner’s birthday, and as the sun began to set they invited me to stay the night and celebrate with them. I was taken back by the generosity of their offer; we had met just a few hours earlier, and they welcomed me in like family. The night rolled on with the 4 of us sharing more food, rum and an attempt to teach me how to dance with Latin women. As tiredness crept in we retreated to the bedroom together. Mauricio offered me his top bunk above the couple, while he insisted on taking the sofa. I slept through until morning. The heat rose with the sun, and it was time to get back on the saddle. I had a long way to go. 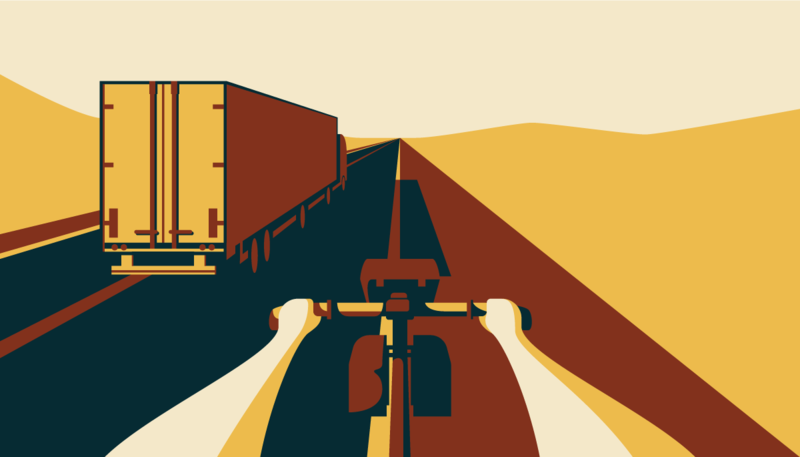 The pains of life on the road were so much more than cramping calves or aching limbs. Relationships were built, and torn away, in a single moment. These 3 people gave me so much, yet never once asked for anything in return. If you enjoyed this story and would like to see more, please follow my social links, or get in touch.